Watch this segment that aired on WBIR to learn more about the campaign. 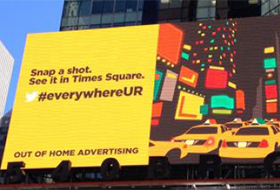 In anticipation of the 10th Annual Advertising Week in New York on September 23-27, the Outdoor Advertising Association of America (OAAA) and its members launched an out-of-home campaign to spotlight the power of the medium, especially its influential relationship with social media. For the next 10 days Milwaukee’s highways will become an art gallery. 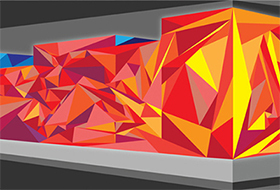 A new city-wide project will explore the billboard as a venue for something more prestigious than a law firm or fast food ad as 18 street-side signs are taken over by local artists. Lamar Advertising Company is donating digital billboard space in Milwaukee to support the project.